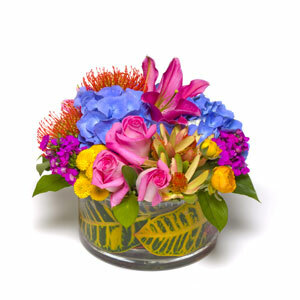 Happy Canyon Florist delivers flowers to Centennial, Colorado every day. We also deliver to all Centennial hospitals, churches and funeral homes. Centennial, Colorado, is located in Arapahoe County and is a Home Rule City. It is the tenth most populous city in Colorado and, when it incorporated in 2001, became the largest incorporation in U.S. history. It has ranked among the safest and wealthiest cities in the country since its incorporation. Centennial incorporated on February 7, 2001. Previously, the area was divided into Castlewood, Southglenn, and several other unincorporated areas. The citizens of the area voted to incorporate to prevent annexation by Greenwood Village. Interestingly enough, Centennial Airport, an airport located near but outside the city limits, had its name more than 30 years before the city.